Interested in having your own crystal-clear swimming pool? A place where you can have a cool, refreshment swim during the super-hot summer days in New Jersey? Or, aside from being a great relaxing corner, maybe you want to give your backyard a touch of modern freshness? 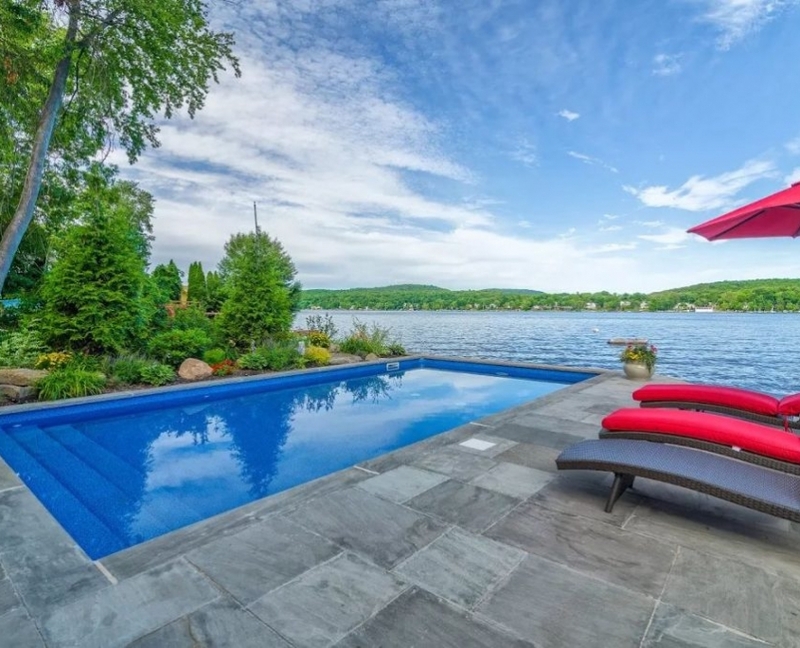 Our team, known as the inground pools installation experts in New Jersey, offer a variety of high-quality fiberglass and vinyl-lined custom swimming pools to fit your lifestyle, property, and budget. First things first, when you decide to install an inground pool in NJ, you need to find a trusted pool company who would help you build your dream pool. 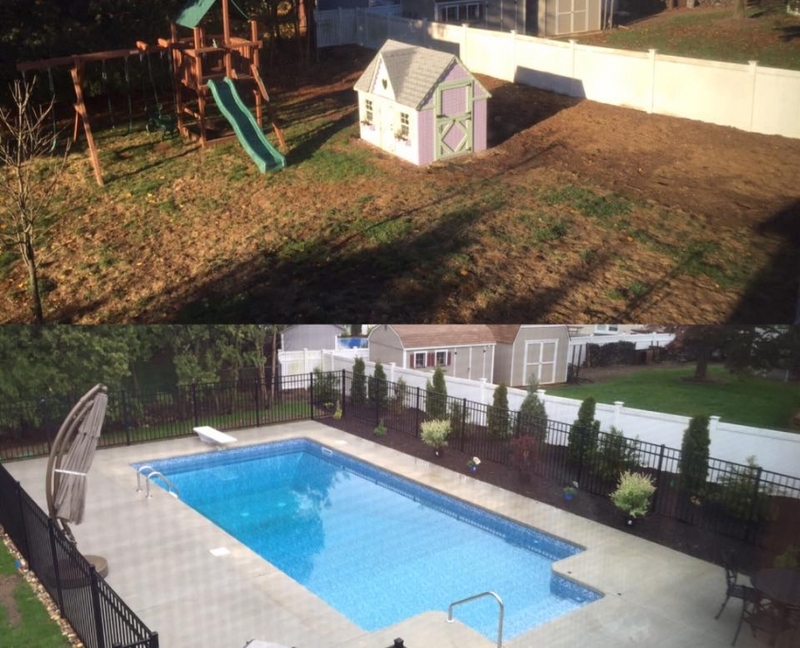 Believing that “If you can imagine it, we can build it!” Let us prove in a few paragraphs, why you are at the right place when it comes to building inground pools in NJ. Why Choose Vinyl Lined Inground Pool Installation from Metro Pools? Simply, we offer you more than a simple inground pool design, we offer you the opportunity to create the backyard living experience of your dreams. 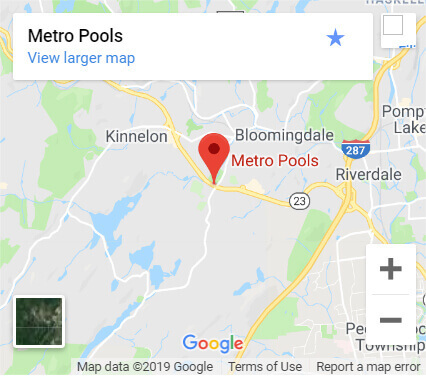 Metro Pools has been in business for over 20 years, specializing in designing, installing and renovating Vinyl Lined Inground and Fiberglass Pools in Northern New Jersey. Every pool requires maintenance services, but inground vinyl pools need less work in order to keep them running smoothly. There are many options to keep them clean and clear like installing a salt-water generator, which converts salt into chlorine. This virtually reduces the need for putting chemicals and makes the water softer. Unlike concrete or gunite pools, it is less likely that you will need to resurface the entire pool if only the liner is damaged. The convenience that vinyl pools offer can save a lot of your time, money and energy allowing you to spend more time relaxing in your pool. When making a decision to build an inground pool in NJ, you want the assurance of a great warranty. Here at Metropools we always include in our proposals terrific warranties, ensuring the quality and durability of your inground pool. Simply ask yourself who will use my future pool and what will be its purpose? Would it be a family with young children? A young couple without kids? Or a family that likes to have fun? The answers to these questions will help you decide the pool’s design and shape. Your backyard plays an important role when defining the size and the form of your planned pool. For example, rectangular pools may not look and work well in small and tight yards. Likewise, free-form pools way look perfect in these yards. Other factors that need to be considered are the actual space where the pool will be installed and does your yard has any obstacles for a specific pool design. Would you like a rock waterfall or an attached spa? 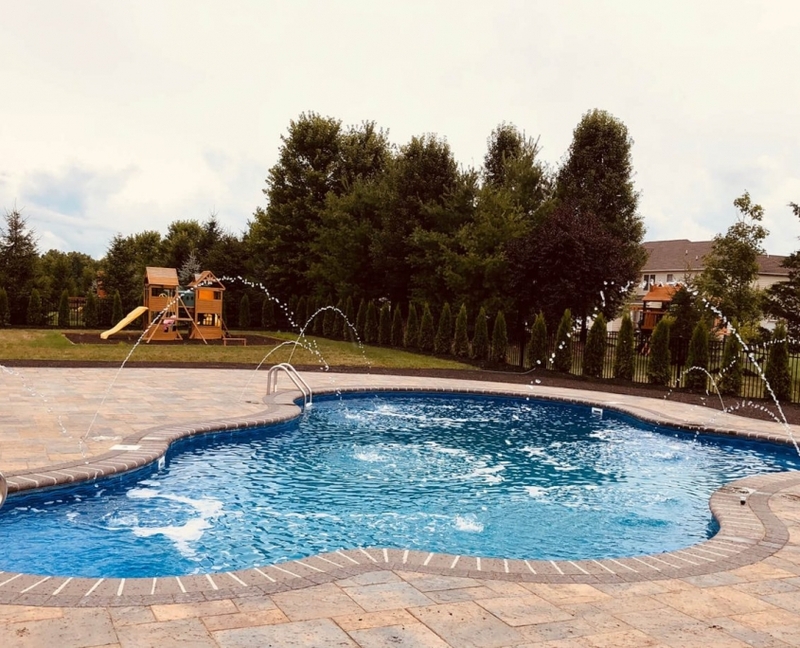 These additional features must be agreed in the very beginning since they significantly influence the shape, size and look of your inground pool in NJ. 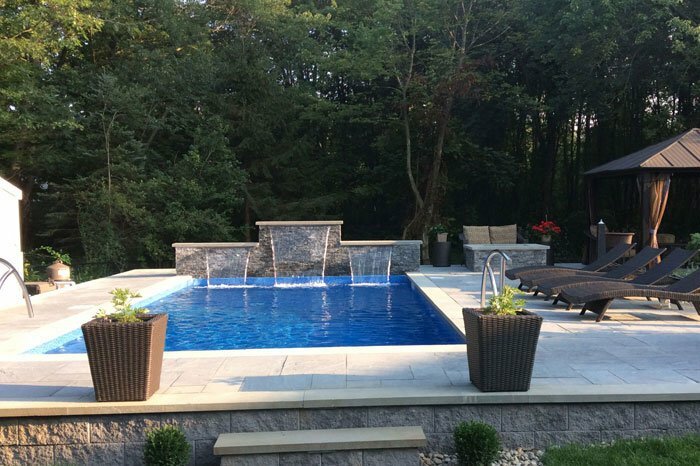 The core of everything we do is our professional and licensed team of builders and technicians whose skills helped us build the most durable inground pools in NJ. They will guide you through the design process and make your pool installation project easy and simple. From providing you with the accurate cost and time estimates to pulling the requested permits, our friendly contractors will provide smooth services so you can enjoy your inground pool. The initial meeting between you as our client and one of our skilled design technician is the first step. Since all of our pools are custom designed for each individual customer, during this meeting, our technician will find out what your preferences are and what are you looking for in the overall pool and landscape layout. The technician will also create notes including home and lot dimensions, positioning, building setbacks, a location of utilities and accessibility to the construction site. Within a few working days, we will have a fully prepared construction plan and financial projections for the pool organized for you to review. This step means that we shall acquire the permit for the construction of the pool and decking. This is mandatory because all plans and projections must comply with local and state building codes. We will also call for all applicable inspections, including footer, plumbing, and electrical bonding. After you and local authorized representatives approve all projections, the inground pool construction process can begin. We will go over the construction stages with you and help setting the pool, ensuring your dream pool is in the exact location as wanted. With the pool deck step, we will reflect the overall theme for the project, including color, pattern, and type. Usually, we are shaping the deck at the pool edge with a rounded cantilever foam for comfort and safety. We never skip this step because it includes removing all unnecessary construction materials and waste and preparing the pool interior to be finished. Once full, our service technician will come to your home to check the whole installation and start all pool and/or spa equipment. Our service technician will also show you how to maintain your inground pool in the future. This usually includes everything you will need to know about regular maintenance on the pool. However, this does not mean that we will leave, too. If you happen to have questions or you need to require technical assistance, our team is only a phone call away. Whether you’re building a new pool or renovating an existing pool, we offer you various styles and features to boost the beauty and quality of your inground-pool and backyard oasis. If you want to spice the effect of your inground pool and add value to your home, spa additions are the right choice. Spa additions can be applied while building your new pool or to your existing pool. Although they require an additional investment, surely they are worth it. They create a calming atmosphere and soft-water touch. In addition, there is a variety of options for waterfall effects that can be applied to your spa to create a whole pool environment. Just think of the water feature that fits your taste and we can add it. Inground pools in NJ are created for having fun and what is better than jumping water? The options are infinite. It could be the jungle themed rock waterfall or shooting columns of water. Wondering how salt systems work? Simple. They make chlorine from salt that is added to the pool water. Using these salt systems, you can easily convert your pool to a refreshing salt-water pool. How to enjoy the pool area in the evening? Light it up! This pool feature is one of the most wanted and dramatic ones. We can offer a plethora of lights to illuminate your pool or spa. You can choose from changing colored light shows to choosing only one color. Pool automation control system is helpful to control the effects of any water feature. You can use it to change light colors or to adjust the temperature of your spa. Thousands of families through NJ have trusted Metro Pools to turn their backyard into a place that creates memories that last a lifetime. Because Vinyl Lined Inground pool installation can be unique and innovative as you want them to be, we want you to discover how Metro Pool can help you with that experience. Implementing the latest techniques and technologies our team can build astonishing swimming pools and at the same time ensuring that you have all the features you have desired. Even though we offer high-quality services, we still believe in a reasonable price range, trying to keep the cost as budget friendly as possible. Call us at 973.492.7665 or feel free to stop by at 1295 Route 23 South Butler, NJ 07405! Our pool specialists are always available during work-hours to help you with any questions you might have. In the meantime read what our customers have to say about their experience with our team and see real examples of our work on our Facebook and Angie’s List.